French people are quickly satisfied on holiday. A simple apartment in a busy seaside resort, as close to the sea as possible and close to the evening entertainment, is sufficient. Usually, the apartment is rented well in advance and preferably through a friend of a friend. The more affluent French people from large cities often have their own holiday home in the campagne, which is only two months a year + Christmas and Easter in use, but with the whole family at the same time. The fact that during a stay like this, the family rectifies some intrigues, inheritances, extramarital relationships and children, preferably accompanied by violent thunderstorms, is a picture that regularly recurs in French films. Camping is nothing at all for a Frenchman, who needs to have extensive kitchen facilities at least once a day to prepare the copious meal. But if they are at a campsite, they live in a luxury motorhome or caravan. The large and more luxurious campsites are located in the tourist areas. Particularly in the Languedoc (Argeles is considered to be the camping capital of Europe) and along the Atlantic coast they are too coastal and to be judged. They are not cheap, but they are equipped with all facilities, sometimes with their restaurants and (children' s) entertainment on the grounds. Tents and caravans can also be rented on such campsites. The campsites in the Ardeche valley and the Dordogne are popular with Dutch people. So expect little contact with the local population. The naturist campsites are situated a little further afield, often in the midst of unspoiled nature, difficult to reach and far away from villages and nightlife facilities. Well-known locations are on the coast of Languedoc, the west coast of Corsica and in the Gascony. Almost every large village has a Camping Municipal, a cheap and sometimes beautifully located alternative, but usually with minimal amenities. Anyone who wants to plan in advance can contact the town hall. 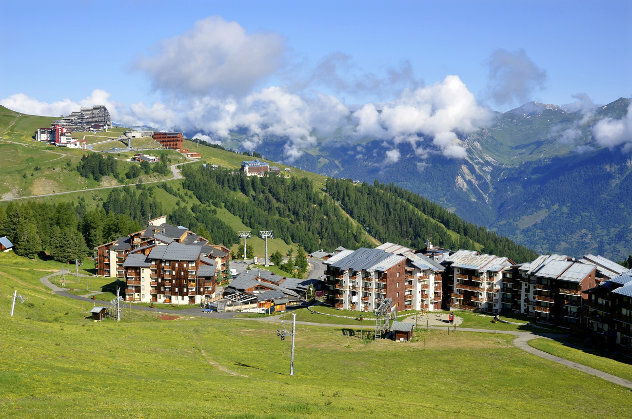 In the mountain areas, gites or refuges are available for overnight stays at various altitudes. Sometimes these are reasonably equipped and manned accommodations for large groups of people (with dormitories), at times it is no more than a shelter against the harsh weather and one has to carry the overnight accommodation. Careful planning for a mountain trip along these places of accommodation is a prerequisite to avoid problems. When French people sleep in a hotel, they are usually on business trips. The boss pays a fixed fee for the stay, which explains the popularity of the Formula1 -type hotels. Hotels have a classification that says less about the quality but about the minimum level of amenities. 1-star means that not all rooms have their own WC. In general, these are some poorer sleeping facilities. However, this is not to say that there are no beautiful rooms to be found in a 1-star hotel. 2-star means that all rooms have a WC, but not all have a bath or shower. Here you can find jewels of lovingly situated village hotels. Most Logis de France hotels are in this category. The group with e. g. Formula1, Etap, B&B, Primavera, Campanile have simple, small rooms, but are cheap. Almost all of them are located on the outskirts of the larger cities and at the exits of the motorways. The more expensive group with Novotel and Mercure always have a swimming pool and large parking facilities, a restaurant, and other amenities. Novotels are usually located outside the major cities near the motorways, Mercures are usually located in the city center. The 4- and 5-star hotels are always of the large, very luxurious type. Prices and amenities quickly increase from pleasantly comfortable to snobbishly exorbitant. The locations vary from city centers to mountain tops, on golf courses or with their beaches directly by the sea. Sleeping in a real castle - sometimes converted into a 3-star hotel, but also with 4 or 5 stars - can be booked at the chains of relays et chateaux or chateaux et hotels de france. Apartments, also in the form of bungalows in a park or private dwellings, can be rented anywhere in French tourist areas, most of them all year round. Prices are highest in July and August. Reservations well in advance are a must for this period. Most apartments have a sparse interior design, which is not so strange in view of the high degree of devastation caused by the average tenant. The kitchens are usually equipped with refrigerator, dishwasher, and there is often also a TV and washing machine available. A particular form of accommodation in the French countryside is the chambres d' hote. Private individuals make (part of) their house available and sometimes also arrange meals for the guests. A similar facility but more focused on renting out the house without extras are the well-known gites. Another particular form of accommodation is provided by naturist villages such as Port Nature near Cap d' Agde in the Languedoc. A huge terrain - and also very busy in summer - with apartments, a campsite, shops, restaurants, nightclubs, a marina and a beach for people who want to do everything in their noses. Anyone who intends to spend the night in the wild - under the bridges of Paris or by motorhome along a remote mountain lake - is at risk. Wild camping is forbidden almost everywhere in France. Apart from bans, it is also relatively dangerous. People are regularly harassed by drunken local people during the night hours, or attacked by heavily armed gangs. At the very bottom of all possibilities for a stay in France, membership belongs to the group Sans Domicile Fixe or Sans-Abris, i. e. the homeless without a permanent residence. Paris is by far the best place for a Sans-Abri. One is tolerant there, and there are many occasions that both heat and food. Although the weather in the south is better suited for nightlife outdoors, there is often a resident with a loaded hunting rifle. Anyone who wants to spend the day in the metro or subway stations and corridors in Paris only needs one ticket for this. There is a reasonable daily yield if you can play an instrument well or perform a beautiful piece of theatre. There is a lot of bad competition, so the best ones deserve the most. A saxophone sounds the best in the corridors, and when some old jazz tones can be picked up from them, success is guaranteed for tourists. If you want or can't-do anything else, then just sit down on the street and hold your hand up is also a method. A sweet, pathetic looking dog helps. In the evening, food is provided in the Saint Eustache church (near Les Halles).
. Translated from the Dutch language by Jos Deuling. 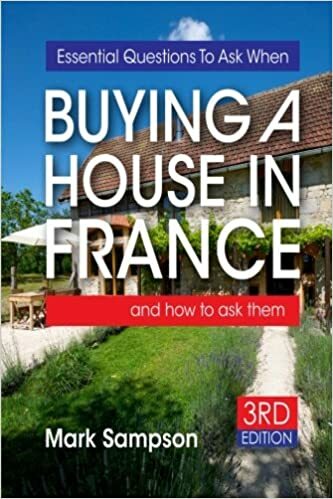 If you own a home or rent a house in France, you have to pay local property taxes. Taxe Foncière is a land tax paid by the owner of the property; Taxe d'Habitation is a resident tax paid by the resident.